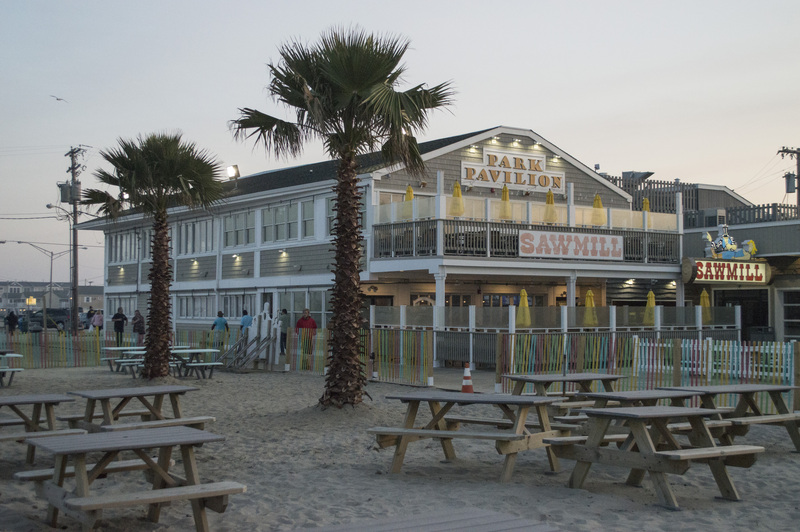 The Seaside Park borough council on Thursday night unanimously approved the expansion of the Sawmill Cafe’s liquor license to allow a larger outdoor seating area and service inside the space of a former arcade that has been converted to a dining room. With the approval in hand, owner DJ D’Onofrio will be able to serve drinks in an expanded outdoor section that will run as far north as Farragut Avenue. Though part of the boardwalk, the section is privately owned and currently has picnic tables set up for diners, however alcohol is not allowed. Though there will be no outdoor bar, patrons will be able to take their drinks outside and occasionally place an order with a roving waitress. The council also granted permission for D’Onofrio to use the remainder of the Park Pavilion complex’s first floor, where a former arcade has been converted to an eatery. After the meeting, D’Onofrio told Shorebeat that he envisions the new, boardwalk-level portion of the building becoming “food court style,” possibly with two or three varieties of food being served. “Seafood, maybe a burrito place, and something like the pizza express that works really well for us,” he said. In the mean time, the space will be used as an extended dining room for the current restaurant. The license approval passed with no comments from the public and no objections from council members. There was a short discussion on how to prevent restaurant patrons from transporting alcohol onto – or across – the boardwalk, but D’Onofrio agreed to maintain a fence to at least 3.5 feet high and employ a security staff. “Knowing these two guys, I know that’s already been taken care of,” said Police Chief Francis Larking, showing his support for the expansion. 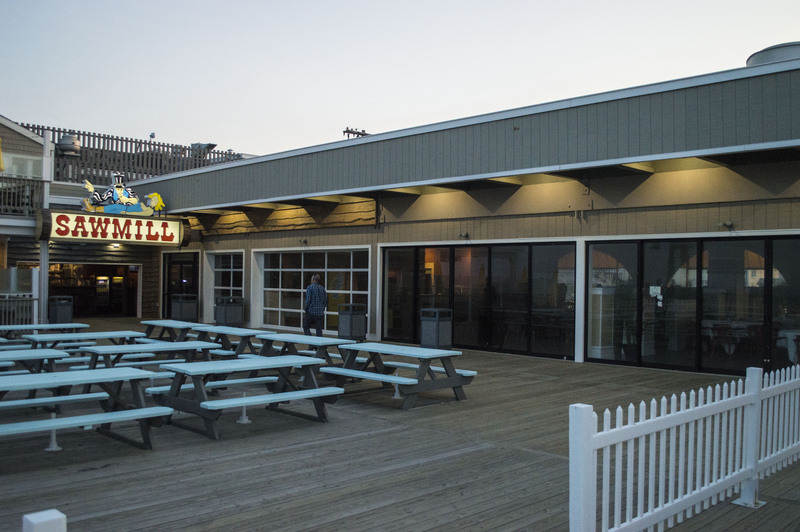 D’Onofrio said the restaurant will continue to apply for permits to serve beer from a cart on the sandy area across the boardwalk from the Sawmill on Memorial Day Weekend, the Fourth of July and Labor Day Weekend. As it presently stands, alcohol may not cross the boardwalk after it is sold, so patrons must stay within the confines of the sandy area – complete with palm trees – until they finish. “It’s nice to have that beer in the sand,” said D’Onofrio, who indicated the area is only temporary until Funtown Pier and its surrounding attractions are rebuilt. “Eventually, there will be a building there. I will, at a future time, be asking you to license that building if possible,” he told council members. Sawmill, of course, will be open for Memorial Day Weekend, including the sandy palm tree area. The restaurant and bar is open from 11 a.m. to 2 a.m. this weekend.